It began, as it usually did, with what was meant to be a peaceful trip. The Doctor had intended to take Gabby Gonzales to see the great art museum of Ouloumos and check up on his old friend, the master artisan Zhe Ikiyuyu. But Zhe is nowhere to be found! Worse yet, Zhe's shape-shifting, reality-warping apprentice proves to be quite mad and murderous when it comes to dealing with uninvited guests. 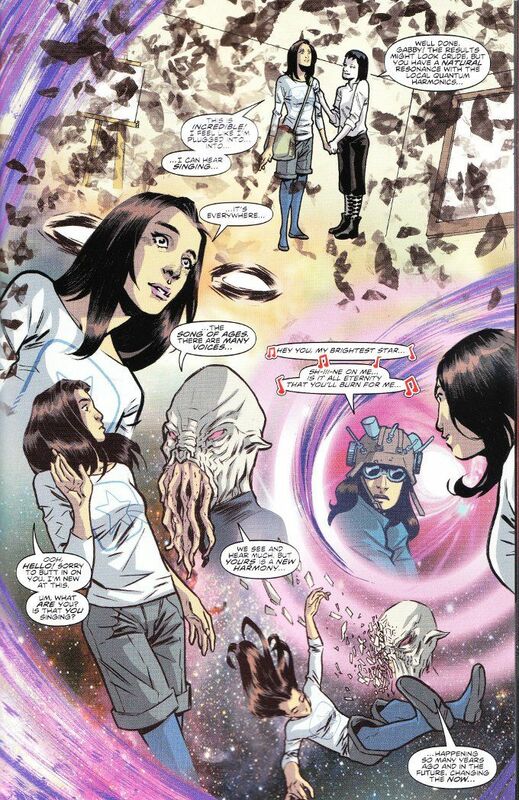 Writer Nick Abadzis tells quite a thrilling tale in this issue and fills his script with a number of shout-outs to both the classic and current series of Doctor Who. The concept of an artist altering reality with their work is not an original one but Abadzis puts a neat spin on the formula, taking the concept of Real-Time Block Transfer Manipulation from Logopolis and applying it to Art instead of Math. And Gabby saves herself from The Apprentice by using the classic Whovian technique of keeping the villain so busy talking about their work that they stop thinking about killing you. Talking of art, the artwork in this book is as wonderful as the script. 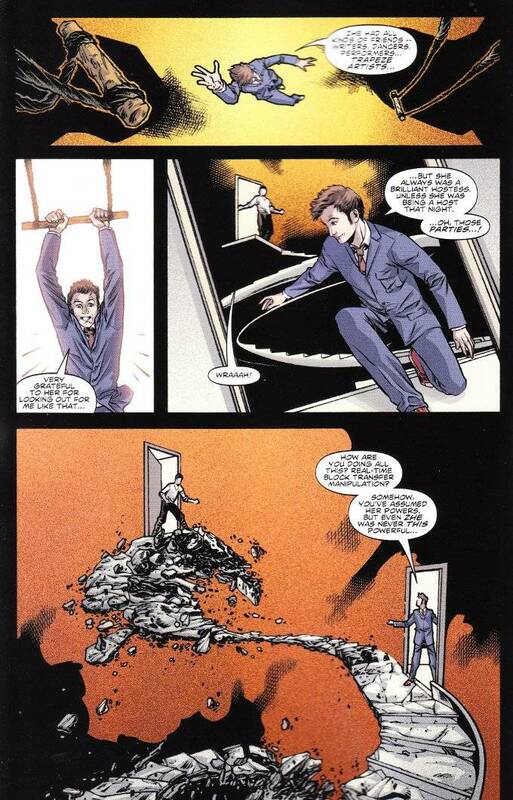 Elena Casagrande does a fine job of capturing The Tenth Doctor as well as crafting the kinetic, ever-changing landscapes that the story requires. And Arianna Florean pulls double duty as the colorist and as the artist for Gabby's art-based journal, which utilizes a cartoonish style to great effect.